JINJA-The FDC vice president for eastern region, Ms Salaamu Musumba, has said Maj Gen (Rtd) Mugisha Muntu lacks the credentials to lead Uganda. Speaking at the closure of a media training organized by Uganda Media Development Foundation in Jinja on Friday, Ms Musumba said Gen Muntu, who last week decided to leave FDC, is not competent to lead the country. But Ms Musumba said the challenges he is running away from he will find them elsewhere. “When I was watching television, he cited issues he was searching for including democracy. Democracy is in the FDC party and you can’t find it anywhere. It was an election that brought him to power as party president and it is what brought his successor Patrick Oboi Amuriat to power,” she added. Ms Musumba added that FDC trusted Gen Muntu with power to lead them in the struggle of liberating the country and he wouldn’t have paid them by quitting the party that has groomed him. “We elected him as a President of the party for five years. What has annoyed him up to an extent of quitting the party he formed, led and he sold all over the world?’’ she asked. “Amuriat’s election was free and fair and no one petitioned his victory. 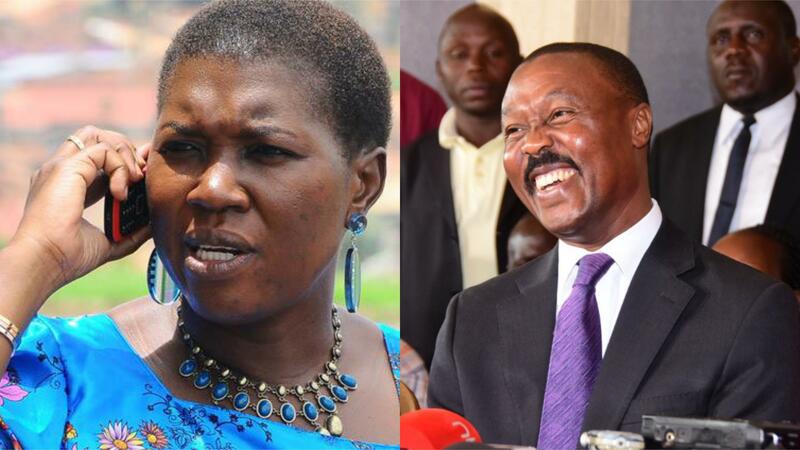 We are still wondering what annoyed Gen Muntu to the extent of divorcing the party. What are you aiming at? Who are you working for? Are you with Museveni or FDC? What is your mission and why today?” she wondered. The FDC party, Ms Musumba said, would remain strong despite Gen Muntu’s exit and achieve its goal of liberating the country. Last week, FDC Secretary General Nathan Nandala Mafabi also criticized Gen Muntu for exiting the party. “When one joins, we hope that they will stay but if they choose to leave then that means they joined with an agenda different from what we stand for and believe in as a party,” he said.